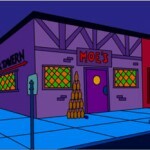 OK, now where were we… it’s getting way too confusing! To look at the official PUC docket for any of these listed below, go to www.puc.state.mn.us and then “Search eDockets” and then search for the docket number, i.e., 06-1115. The Appellate Court is on it, oral arguments are over and they’ll come out with a decision in about 90 days. Briefs are in, and we’re waiting for the ALJ’s Recommendation, after which we have 15 days to submit our exceptions to the ALJ’s Recommendation to the PUC, and from there, the PUC will put it on the agenda 1-2 months later and hold (probably) Oral Arguments (we have to remember to ask for that when we file exceptions) one day and the decision another day. They could do this the same day if they think there is time, and they might. there, with no intervenors to file exceptions, the PUC will put it on the agenda 1-2 months later and probably make the decision the same day. This is a docket I know nothing about! Right now, like TODAY, task forces are forming. This is not to say that it hasn’t been there a while (though Wayback turned up nothing) but it did pop up today, and it never has before. How much more could be going on at once? It’s out — it’s dated FEBRUARY — how did that happen? Did any of you get notice? … and looking at the township maps, there are a LOT of townships potentially affected by this, and few spots for township officials/representatives on the Task Forces. If you’re in this area and live in a township, contact your township officials and let them know how important it is to participate in the Citizen Advisory Task Force and get the local perspective on impacts, what’s important to include in the EIS and particularly how important it is to work jointly and incorporate the federal environmental review being conducted by Rural Utility Services. 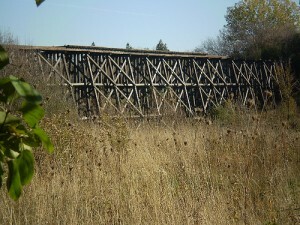 Here’s the old railroad bridge outside of Kenyon, if you go down Home St. to Hwy. 56 and walk south a bit, there it is, on the east side of 60. This is from the days when they really used railroads, and there was that massive influx of Norwegians. 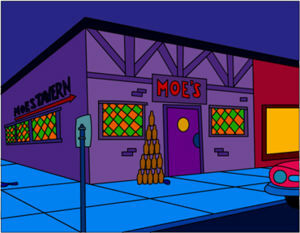 If anything, Kenyon is a Norwegian town… but that didn’t help me fit in there. But Kenyon Vet Clinic is the best!!! Opponents of a proposed energy project through the region were in court last week to challenge an issuance from the state’s Public Utilities Commission. Carol Overland, an attorney and opponent of the CapX2020 project, said in an e-mail the issuance of a Certificate of Need for the proposed transmission lines are not necessary. CapX2020, a group comprised of 11 utilities, is proposing the construction of a 345-kilovolt electric transmission line and associated facilities to run between Hampton and Rochester. The proposal includes a 345 kV transmission line from a substation near Hampton to a proposed substation in north Rochester, then on to a new or existing substation near La Crosse, Wis.
Three other transmission lines are proposed throughout the region. If the preferred line from Hampton to Rochester isn’t approved, a backup route would head south from Hampton along Hwy. 56 through Holden Township and then head east through Wanamingo. Speaking on behalf of groups NoCapX and United Citizen Action Network before the Appellate Court, Overland said the energy usage CapX2020 says is needed to power the region are wrong. She said in the time since the project began, energy usage has decreased. CapX2020 utilities were granted a Certificate of Need from the PUC on April 16, 2009. According to CapX2020’s Web site, the expansion of the electric transmission grid is needed to ensure continued reliable and affordable service. It says planning studies show that customer demand for electricity will increase by 4,000 to 6,000 megawatts by 2020. On March 9, the PUC accepted a completed application from CapX for the transmission project route permit from Hampton to Rochester to La Crosse. 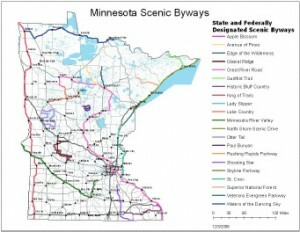 As part of the Minnesota Route Permit process, the PUC determines the transmission line’s final route. The rules for the permit require that the applicant identify at least two routes and state a preference for one. Should the preferred line ultimately be denied, landowners in Holden Township and Wanamingo could be faced with battles over their land. State law currently allows government entities to use eminent domain to purchase private land without the owner’s consent but with fair compensation in effort to boom economic development. Last month, Rep. Steve Drazkowski (Wabasha), the lead Republican in the House Civil Justice Committee, became an author of a bill that would remove an exemption for public service corporations when it comes to eminent domain. Lawmakers are looking at the law again after CapX2020 proposed its project including four major utility lines throughout the state, worrying landowners who could fall in its routes of not receiving proper compensation. But that discussion could become moot, should the argument by NoCapX and UCAN be welcomed by the Appellate Court. Overland said she expects a decision from the court within three months. HF 1182 passes in the House! IT PASSED IN THE HOUSE — THE FULL HOUSE! Now on to finish up in the Senate. ST. PAUL – Legislation authored by Rep. David Bly (DFL – Northfield) passed the House today that would increase fairness and balance for Minnesota homeowners whose land may be taken through eminent domain process. Passed on a wide bipartisan vote of 123 to 5, Bly’s bill repeals the special exemptions for eminent domain given to utility companies involving high-voltage transmission lines and natural gas and petroleum pipelines. Bly called the bill a victory for private property rights for all Minnesotans. After United States Supreme Court broadened the ability of government to use eminent domain in 2005, the Minnesota Legislature took action to limit the power of state government to use eminent domain in order to protect and increase fairness to property owners. However, as part of those changes, “public service corporations” (PSC) were exempted from the new regulations and restrictions. Bly said this exemption has created a paradox in state law that is unfair to Minnesota property owners. This legislation is a direct response to the proposed CapX 2020 line that is moving forward that will affect many regions of the state. 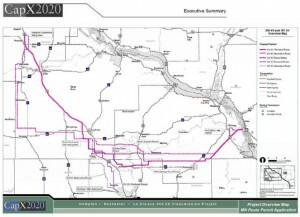 The CapX 2020 line will go from Brookings to Hampton affecting Minnesotans in Lincoln County in the west through, Scott, Rice, Dakota and Goodhue counties and points south toward the Wisconsin border. “The CapX 2020 power lines are moving forward as we speak and it’s critical we ensure that the rights of Minnesota property owners are protected,” said Bly. The Minnesota Senate is expected to act on a similar bill soon at which point it will be sent to the Governor for his signature. 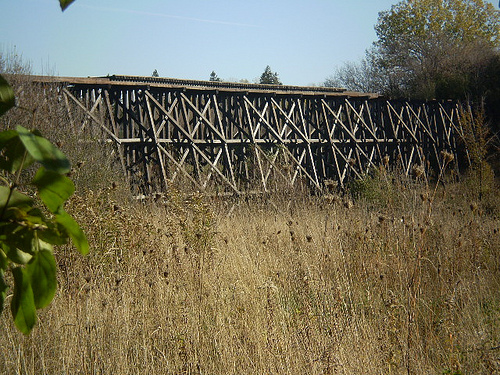 Over the past year in southeastern Minnesota, property owners have been dealing with the uncertainties brought forward by the development of the CapX2020 project and the plans for the development of a 345 Mhz high powered transmission line. The proposed route runs right through house district 28B. From the outset, there were two items that I have communicated my commitment to doing to help limit the impact that this line would have on private property rights in our district. The first was to work with government agencies, the CapX consortium, and other legislators to encourage the selection of a route that maximized the use of existing corridors and minimized the impact on private property. At this point, it appears that our work has paid off, as the proposed route uses existing corridors to a high degree, and the impact on private property should be minimized. The second goal was to have eminent domain reform passed into law - so that the very same eminent domain restrictions applied to utilities as it does to local units of government. This will ensure that when property is taken for utility projects like CapX, that property owners are placed in the very best position to ensure fair and honest compensation from the utility company. I am happy to report that this afternoon, HF1182, a bill that I co-sponsored - and a bill that accomplishes the eminent domain reforms that our state lacks, passed the House Floor a vote of 123-5! I am confident that the senate companion will also pass, that we will get a favorable conference committee report, and that the bill will be signed into law very soon. 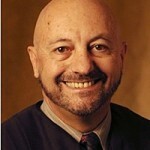 Today is the LAST day to get your comments in to Judge Heydinger on the St. Cloud to Monticello section of CapX. These are the Comments directly to the ALJ, not the DEIS comments that were due a couple of weeks ago. COMMENTS ARE VERY IMPORTANT BECAUSE THERE WERE NO INTERVENORS IN THIS CASE. NO INTERVENORS!!! This one has all the usual components, proposals of an unworkable river crossing, DOT corridor sharing and hopping across the highway and through the rest area, don’t they ever learn? To see what’s been filed thus far in this docket, go to www.puc.state.mn.us and then “Search eDockets” and search for 09-246. Seems to me that all this routing nonsense should screech to a halt until the appellate court decision comes out! A good day at the Appellate Court! 1. Whether the Commission’s failure to enter and consider evidence of significantly decreased demand in NoCapX’s Offer of Proof, or remand to the Administrative Law Judge for further proceedings regarding need, constitutes an error of law. 3. Whether the Commission’s determination that the Environmental Report prepared by the Department of Commerce was adequate was an error of law. THEME OF THE DAY: AN OFFER OF PROOF WAS SUBMITTED — WHY WOULDN’T THE PUC WANT TO KNOW ABOUT DECREASED DEMAND? We shall see, in about 90 days. My notes are pretty sketchy. 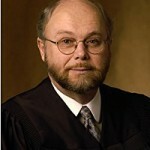 We all appeared before Judge Schumaker, Judge Klaphake, and Judge Crippen (no photo available). Here are some examples of questions. Don’t pay much attention to the “quotes” because these are not verbatim quotes, just the jist of what they were asking. When Paula was up, she was up first, there were a lot of questions about forecasts, whether CETF or other parties had produced forecasts, and there was some frustration that forecasts are ephemeral. Paula went over options, that system issues, their failure to prove need, and the Mississippi River crossings (doesn’t the Minnesota River matter?). She handled the question well about “Doesn’t environmental review happen in routing?” — maybe that was in rebuttal? … a 1,200MW drop in demand. Judge Klaphake asked whether we’d produced forecasts, and I said we had not, that we couldn’t afford forecasting, there is no Intervenor Compensation in Minnesota, and that’s the PUC’s job. He also asked whether there was any specific information in the Offer of Proof in the way of forecasting, and I replied that in the Wall Street Journal article on CEO said that demand was so far down that companies planning infrastructure had better take a closer look, but no, no forecasts specifically. I noted Respondents were claiming this is just a blip, short term, but that’s not the case, it’s been years and has put this project out at least the three years that demand has dropped, and likely more. I stressed that decreased demand affects all types of need, local load, regional system reliability, and generation outlet. When demand goes down, the system isn’t as stressed, the bathtub is below the drain, not overflowing. And there’s no need for new generation, no need for new generation outlet. I brought up the Minnesota River, that everything about the Mississippi also applies to the Minnesota, and that it’s crucial to look at Certificate of Need stage inquiry about system analysis because it won’t happen anywhere else. I also raised RUS review was ongoing and that the Environmental Report should have been done in conjunction with RUS. The minute Alison Archer, Asst. A.G. from the PUC got up, and started talking about threats of brownouts (really! 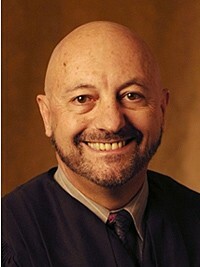 ), Judge Crippen heard about 30 seconds and asked, “We’re going nowhere here, we give deference to agency decision. How do we handle new evidence?” She wandered around and didn’t get to the point. 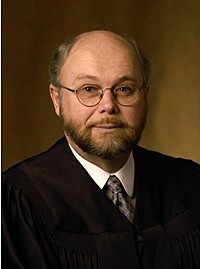 Judge Schumaker (? I think? ): “We’re wanting to know whether it’s a short term decrease in demand or long term… weren’t there statements by folks who generation, saying that demand was going down, an indication that there was a longer term decrease? Archer’s response noted that the three lines are needed for reasons other than forecast. Judge Klaphake asked the question that was the theme of the day: “Why would the Commission NOT want to know?” And Archer stated that the Commission determined that decreased demand was short term and would not impact the long term decision. The NERC report IS in the record, and also the most recent one in the Offer of Proof, noting that the system is fine for local load but the issue is that the system is stressed because of market activity, wholesale transactions not contemplated when the current grid was designed. The system is NOT as stressed, fewer TLRs, etc., this is NOT only a reliability issue, decreased demand affects all types of need. Environmental review yet to come, in routing? NO, Commerce is refusing to do joint review with RUS. Oh well, maybe next time. And there will be a next time because we’re arguing the Environmental Review piece in the LaCrosse routing right now — the PUC does not want to order Commerce to do a joint EIS with Rural Utilities Service, and Commerce does not want to do joint EIS with Rural Utilities Service, and if they keep this up, we’ll have to challenge that! A good time was had by some… and a not so good time was had by others! We shall see… 90 days? The PUC meeting yesterday resulted in two Citizen Advisory Task Forces, which, looking at the bright side, is twice as many Citizen Advisory Task Forces as MOES wanted. On the other hand, I’d requested five in specific locations — there’s too much ground to cover with too wide varieties of issues for just two. Based on all those I’d heard from, they got many requests. There will be a notice out soon to participate in the Task Forces they did set up, and I”ll post it and send it around the second it comes out. Now’s the time to request Citizen Advisory Task Forces for the CapX 2020 line from Hampton to Alma (f/k/a LaCrosse line). 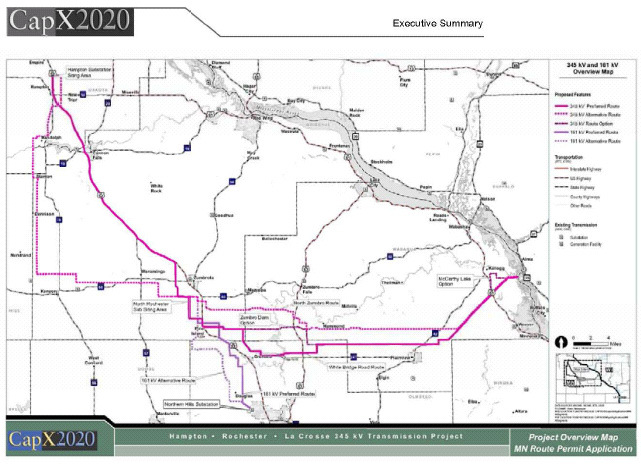 In the Matter of the Route Permit Application for the CapX2020 Hampton-Rochester-La Crosse High Voltage Transmission Lines in Dakota, Goodhue, Olmsted and Wabasha Counties. Send in a request for a Citizen Advisory Task Force NOW. From the looks of the route proposed, and from the people who have contacted me on this, I think there should be one for the northern part, Hampton-Cannon Falls area, another for the corner, the Pine Island/Rochester, and one for the River Crossing. Although the time for DEIS Comments was up the week before last, it’s important to get Comments that are relevant to routing in the routing docket. Just entering things in as DEIS Comments is NOT enough. You need to get information related to siting directly to Judge Heydinger, and most things relevant to the DEIS are also relevant in the siting/routing docket. From the looks of the MnDOT Comment, there’s the same sorts of issues here, and thankfully OES is putting them up on the PUC Docket. Scenic easements are an issue, running longitudinally is an issue, “hopping back and forth” across I-94 is a problem. Clear Lake Township and Wright County both raise Notice issues, Clear Lake Township states that it had no notice whatsoever of a proposed alternate route and no opportunity to be on the Task Force. Wright County is affected, the river crossing in the County and Scenic Byway are areas where the transmission line as proposed would have a significant impact, and how would or could that be mitigated? Take a look at the issues raised in prepping for Monday!